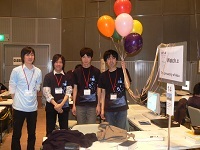 Let's participate in programming contests! 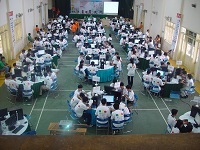 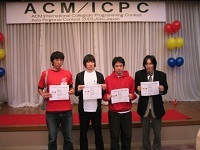 Our goal is to participate in ACM-ICPC, world wide programming competition. 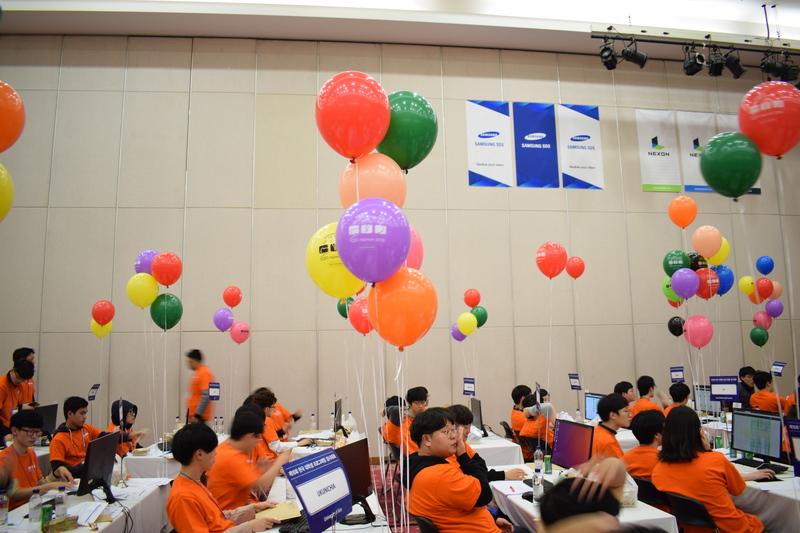 We are also enjoying TopCoder, Codeforces, AtCoder and other programming competitions held around the world. 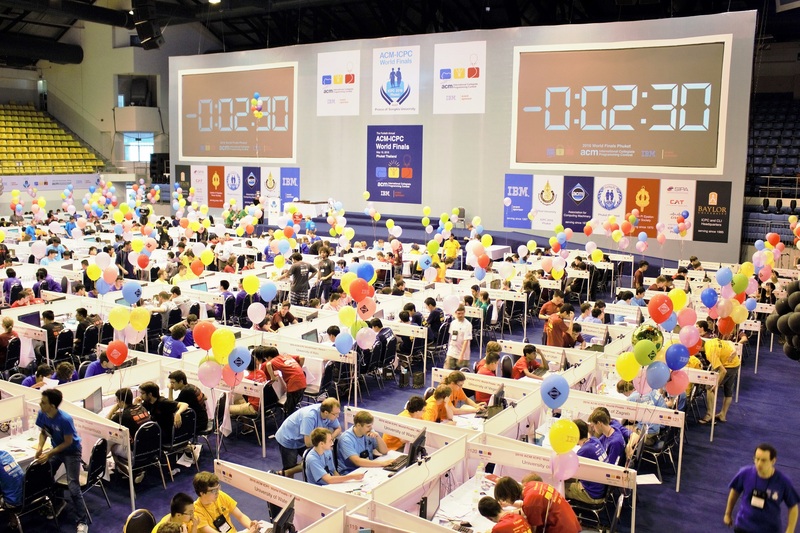 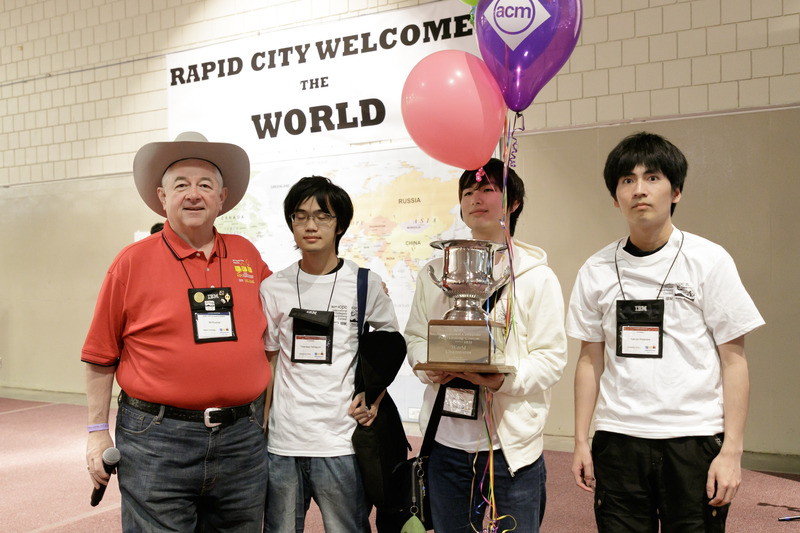 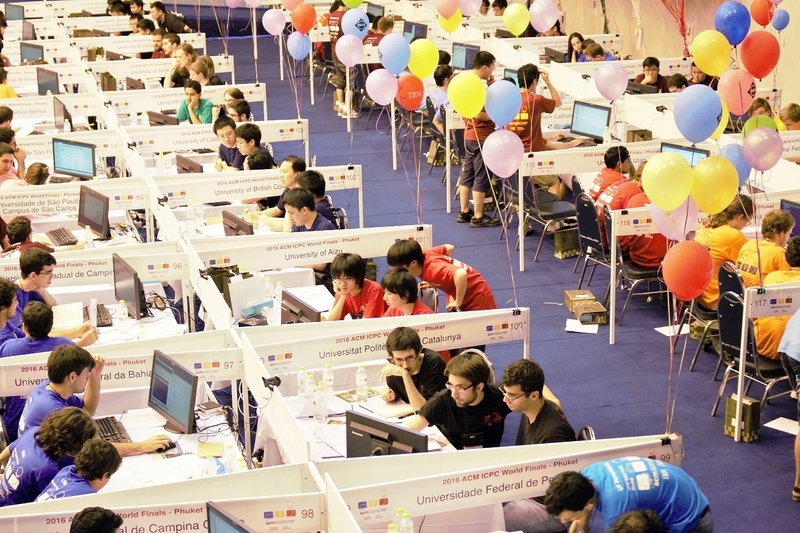 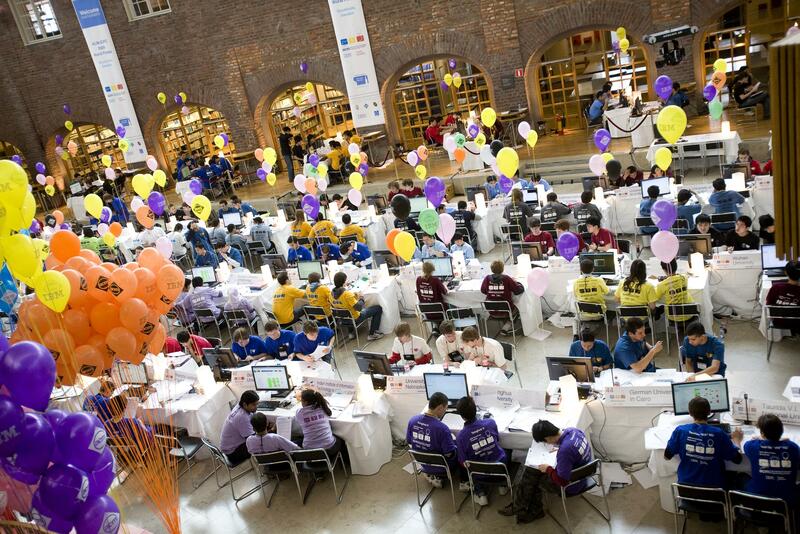 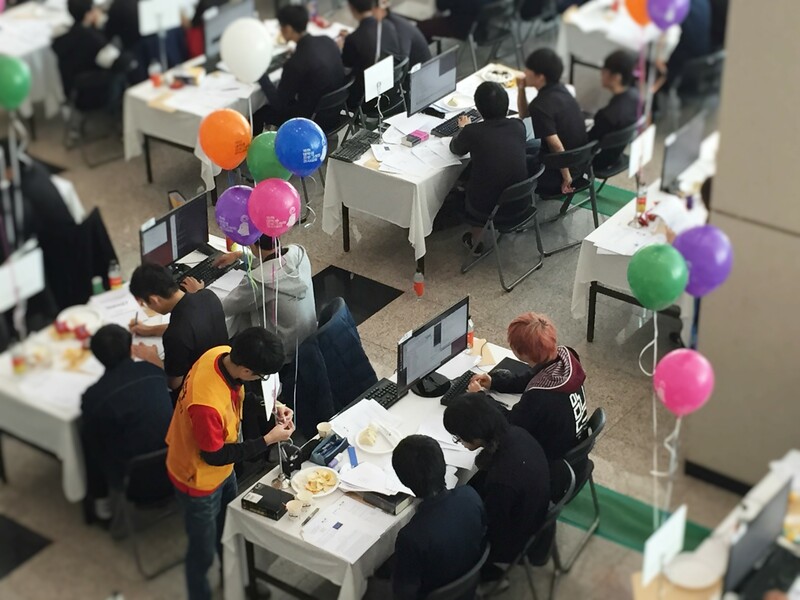 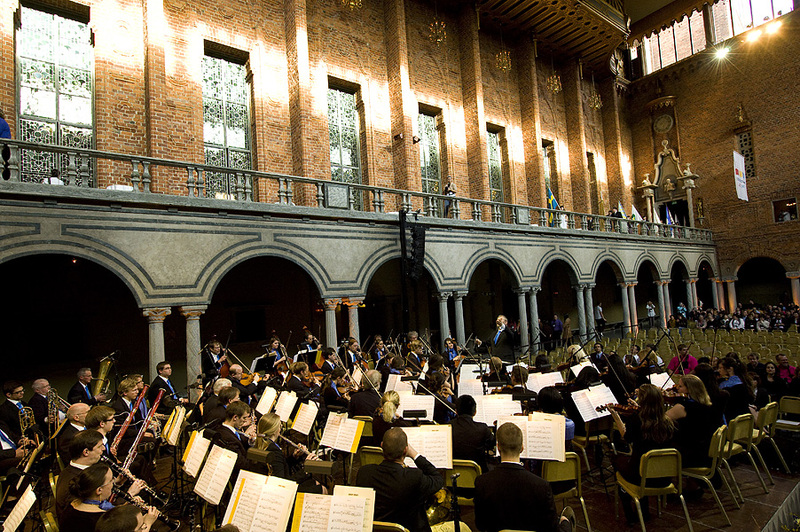 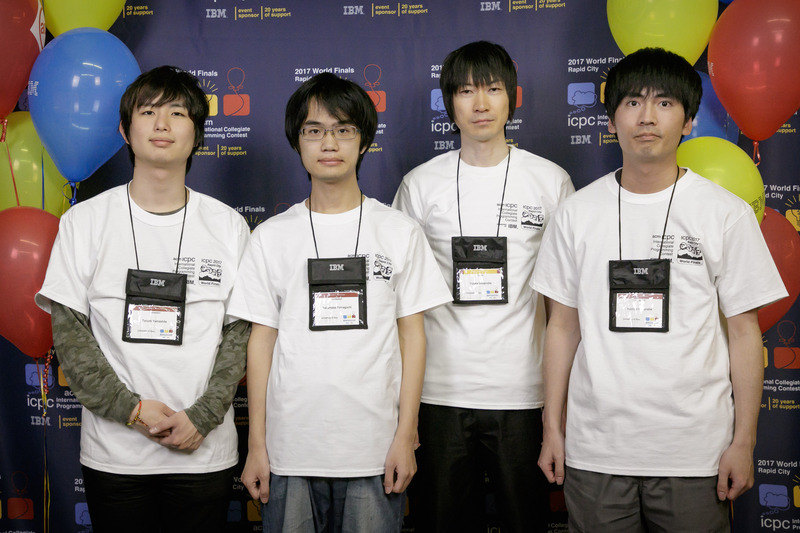 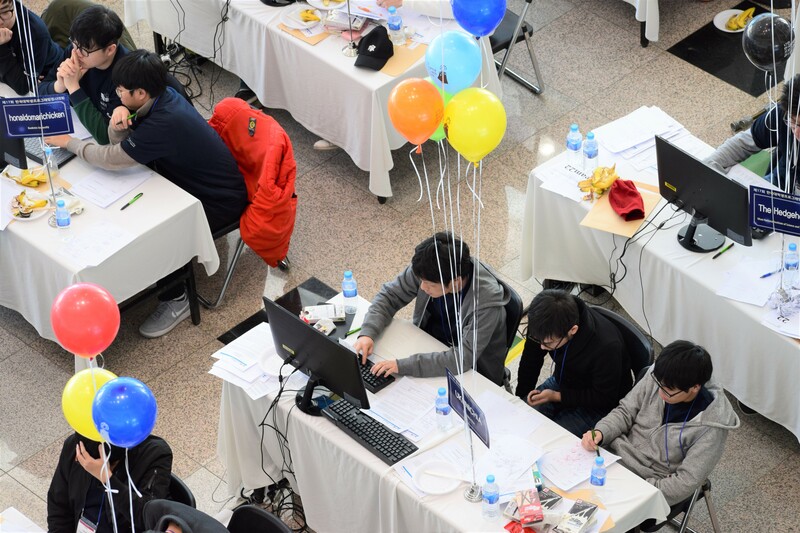 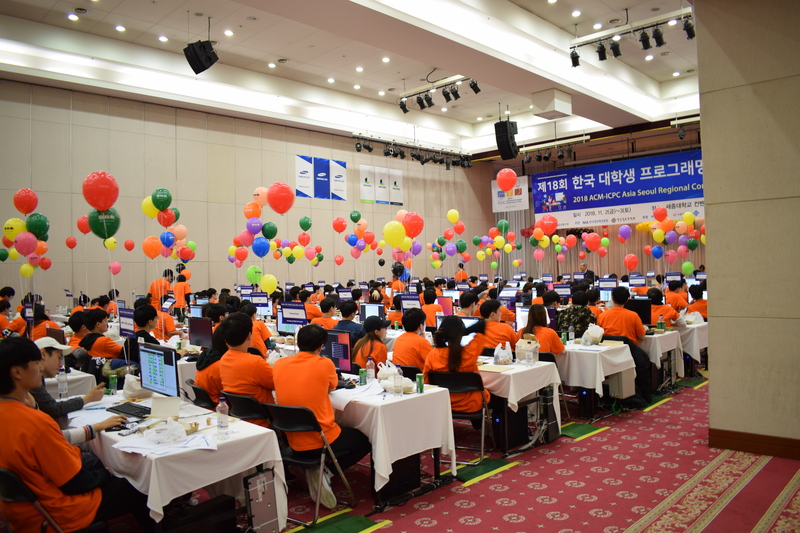 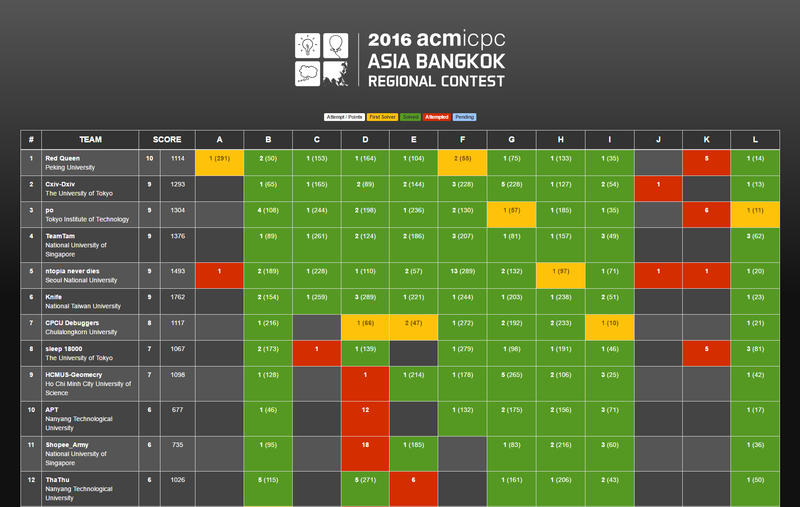 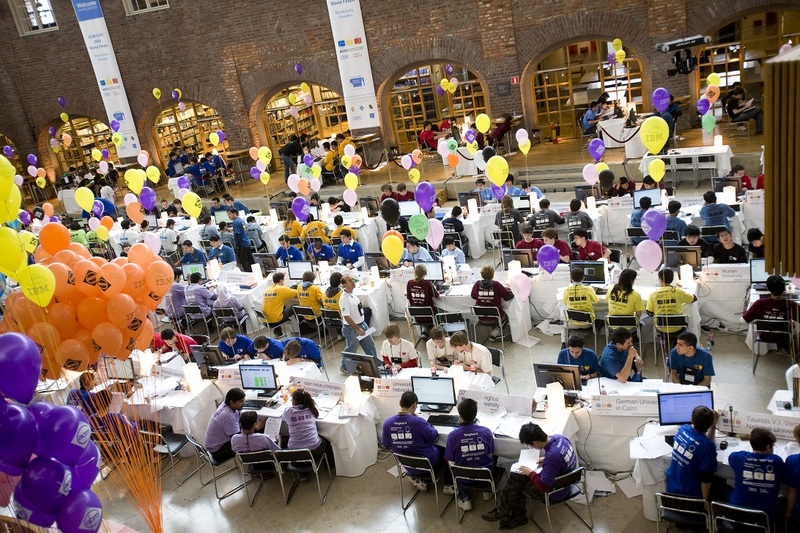 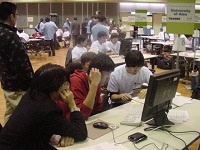 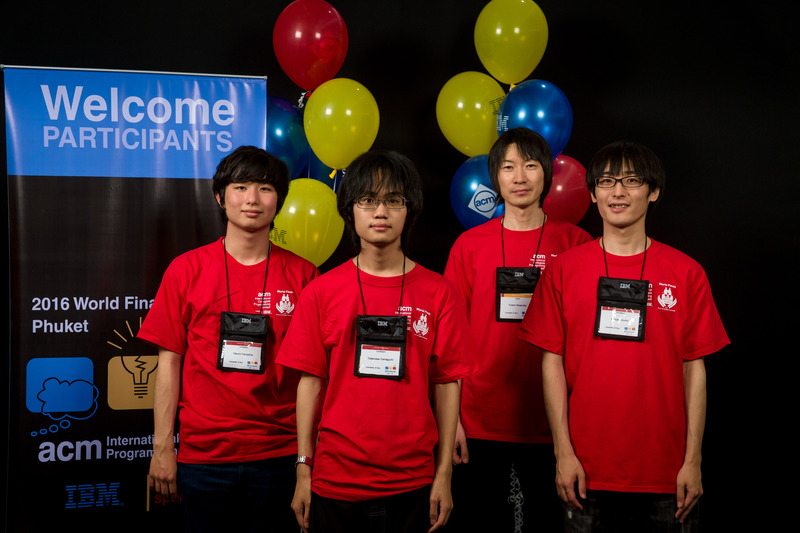 UoA team secures spot in ACM-ICPC International Collegiate Programming Contest World Finals! 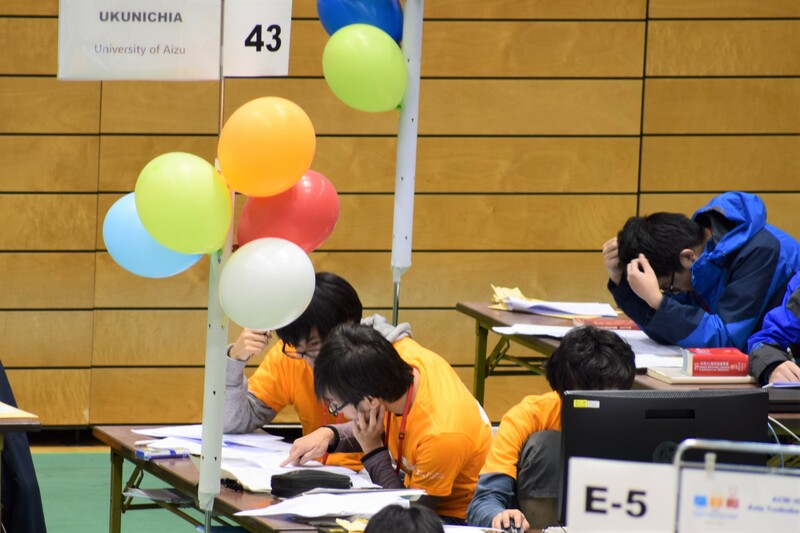 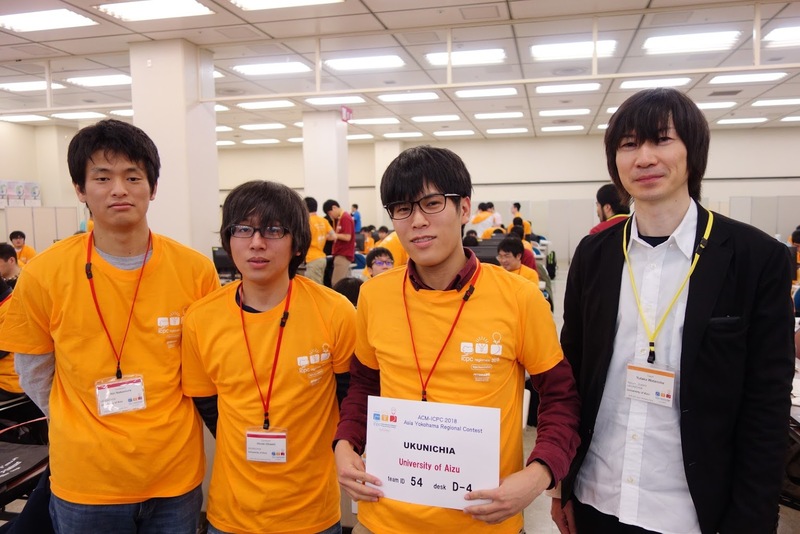 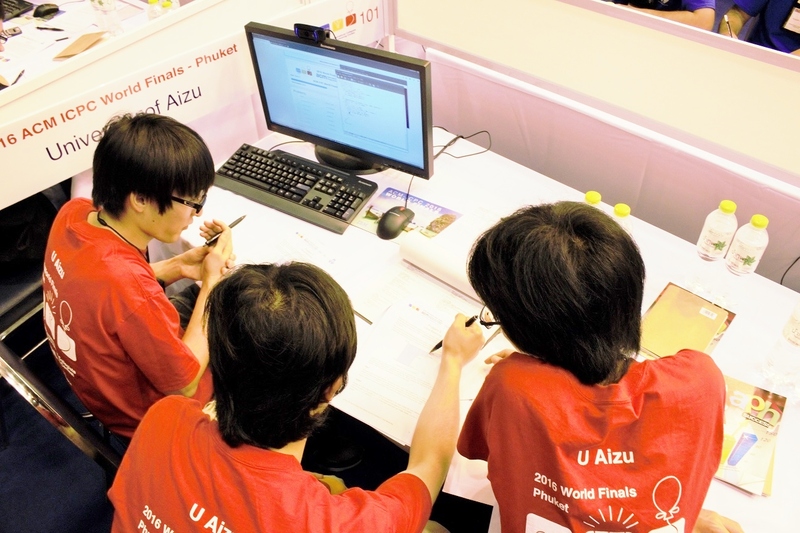 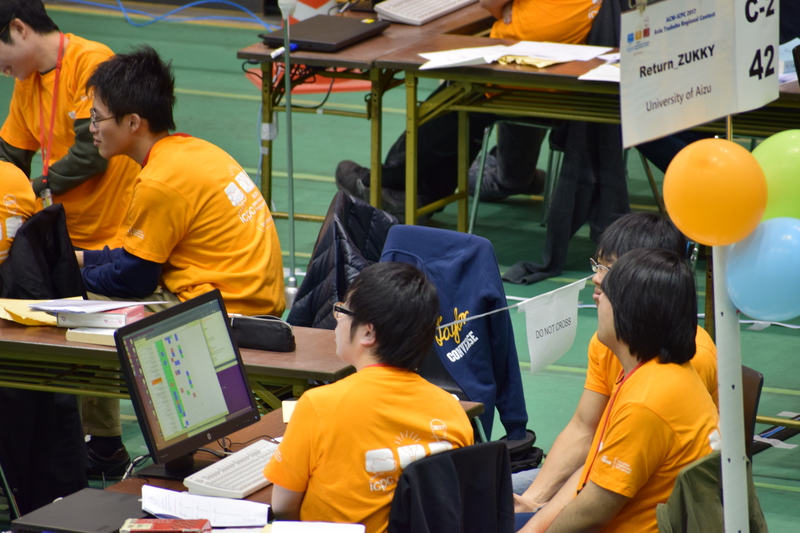 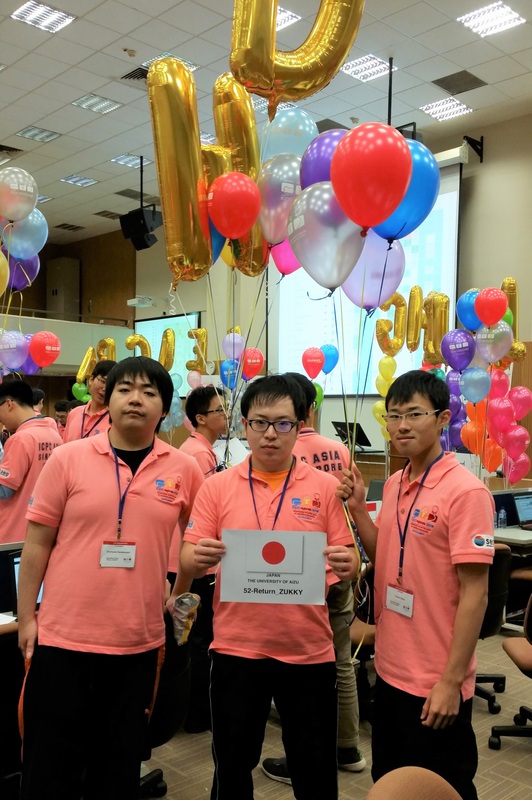 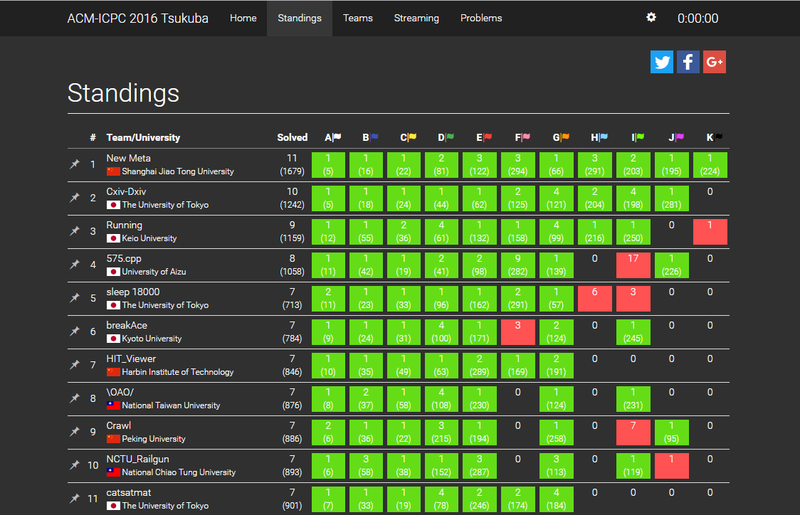 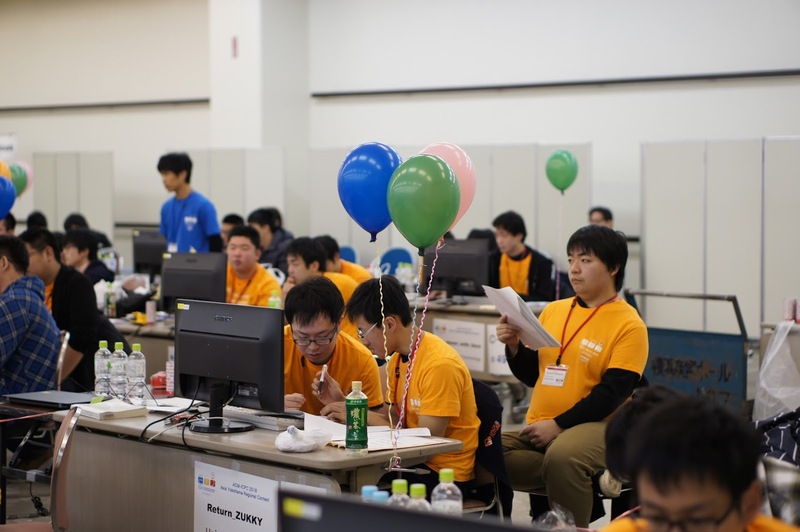 UoA team earned the 6th at 2015 ACM-ICPC Asia Tsukuba Regional Contest! 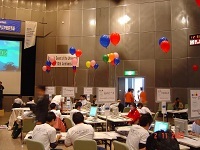 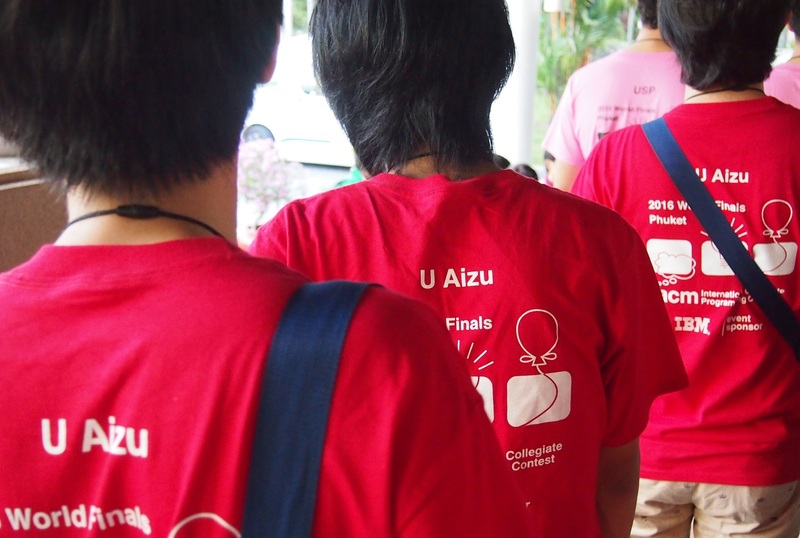 UoA team places at 2014 ACM-ICPC Asia Kuala Lumpur and Tokyo Regional Contests! 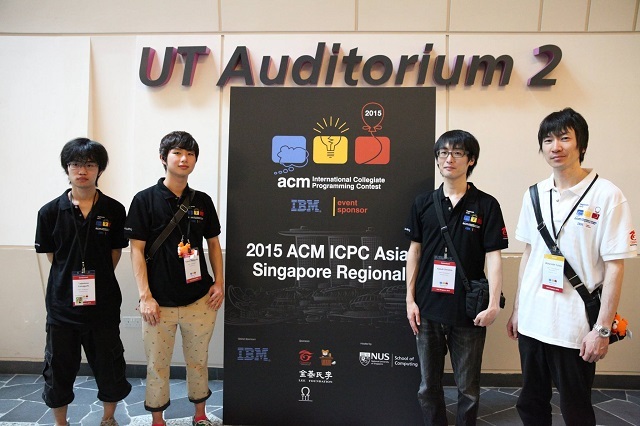 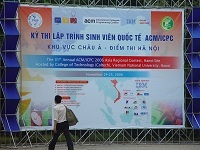 UoA team has advanced to ACM-ICPC Asia Regional. 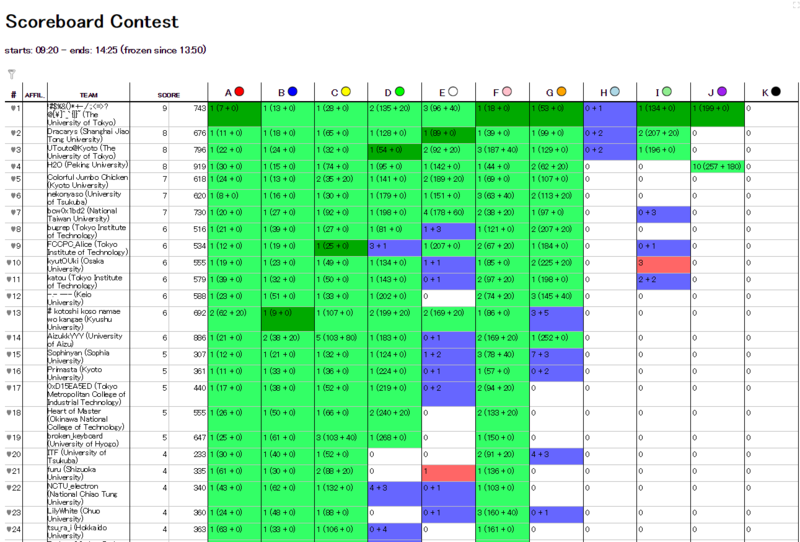 8th place at Japan Preliminary Contest. 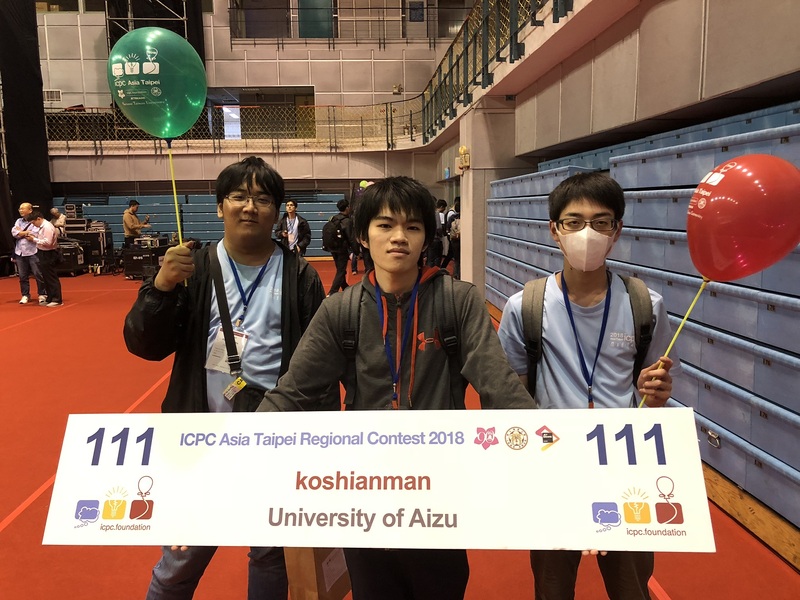 UoA team has advanced to ACM-ICPC Asia Regional. 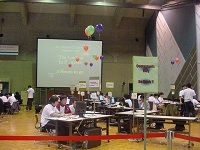 3rd place at Japan Preliminary Contest. 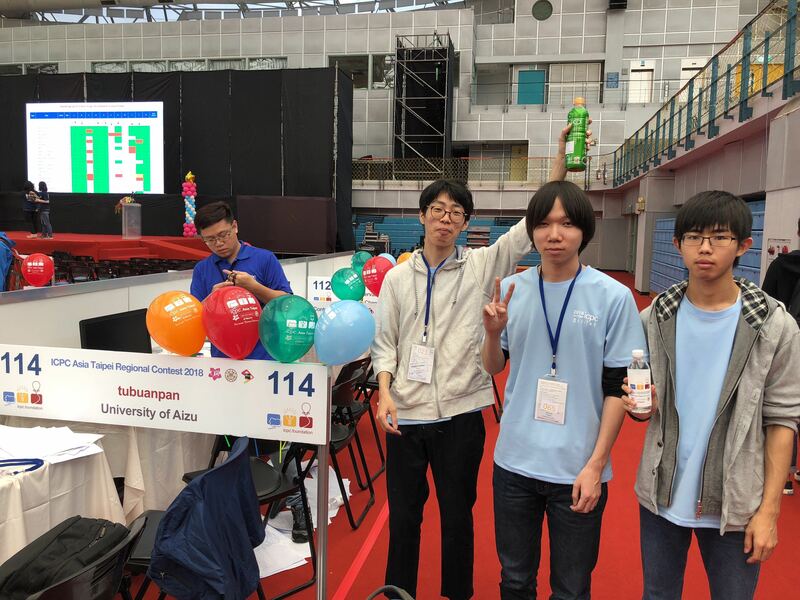 UoA team has advanced to ACM-ICPC Asia Regional. 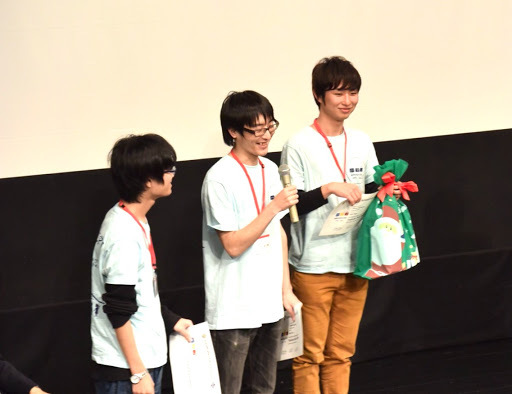 2nd place at Japan Preliminary Contest. 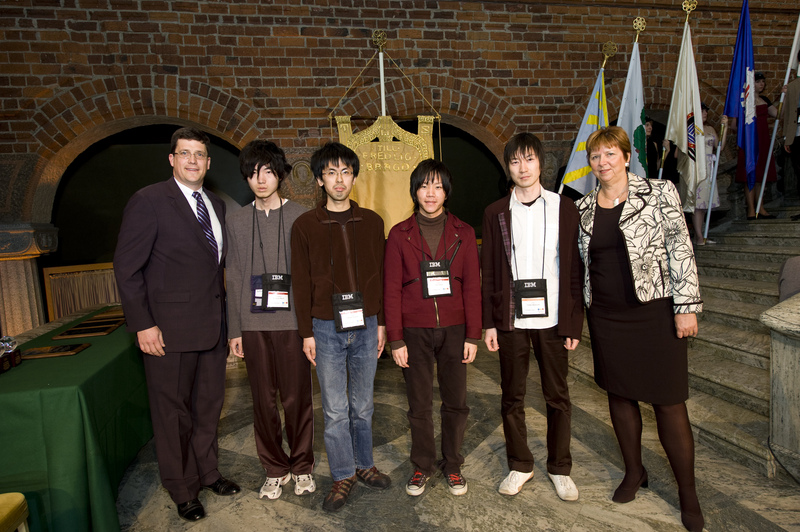 The finalist visited the governor of a prefecture. 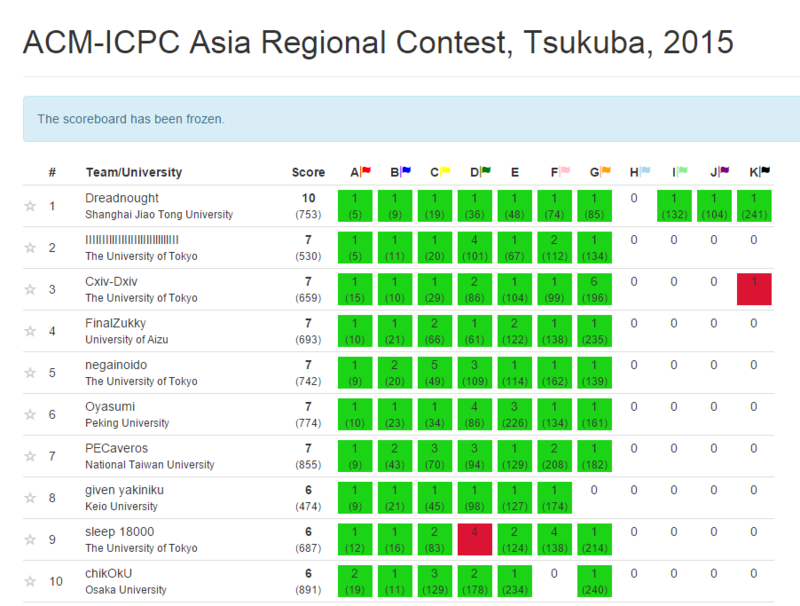 UoA team got 4th place at ACM-ICPC Asia Regional Tokyo. 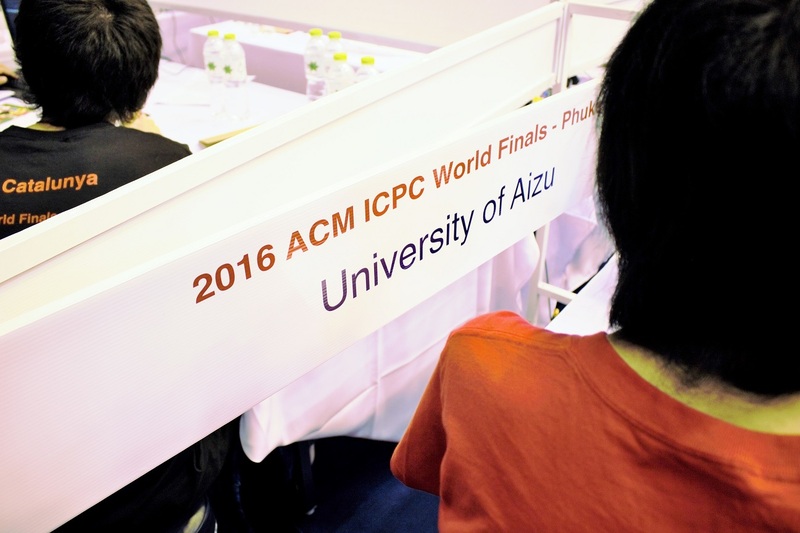 A team from the University of Aizu passed a preliminary round for the ACM International Collegiate Programming Contest with a high ranking.